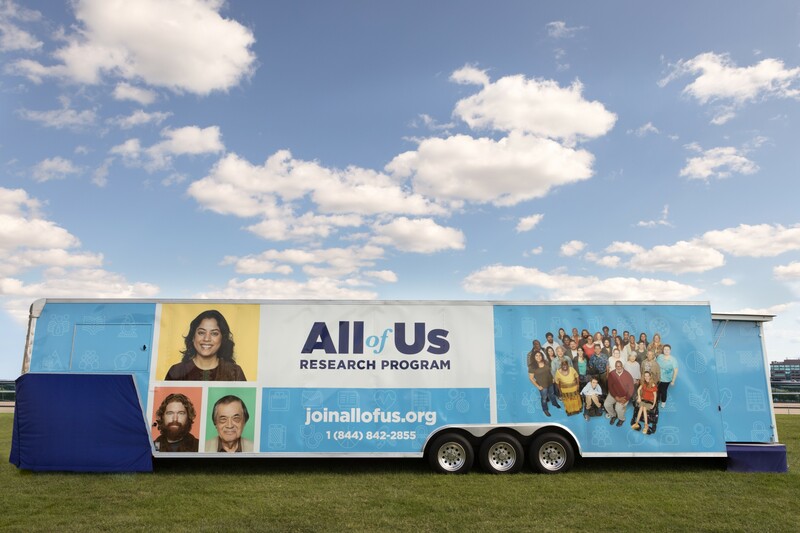 The All of Us Journey visits Little Rock, Arkansas from Tuesday, Feb. 19 through Saturday, March 9. Join us and the Arkansas Department of Health Office of Minority Health & Health Disparities (OMHHD) to learn more about the All of Us Research Program. Visitors will have the opportunity to enroll in this landmark research program while on site. – Mon. 2/25 – with the Arkansas Department of Health-OMHHD & Mosaic Templars Cultural Center at 501 W. Ninth Street, Little Rock, AR 72201 – 9 a.m. to 5 p.m.
– Tue. 2/26 – with the Arkansas Department of Health-OMHHD & Mosaic Templars Cultural Center at 501 W. Ninth Street, Little Rock, AR 72201 – 9 a.m. to 5 p.m.
– Wed. 2/27 – with the Arkansas Department of Health-OMHHD & Mosaic Templars Cultural Center at 501 W. Ninth Street, Little Rock, AR 72201 – 9 a.m. to 5 p.m.
– Thurs. 2/28 with the Arkansas Department of Health-OMHHD at 4815 W Markham St, Little Rock, AR 72205 – 9 a.m. to 5:30 p.m.
– Fri. 3/1 with the Arkansas Department of Health-OMHHD at 4815 W Markham St, Little Rock, AR 72205 – 9 a.m. to 5:30 p.m.